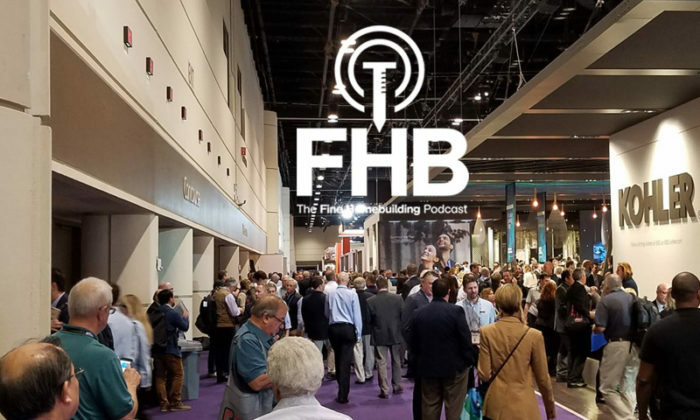 This is the third FHB episode that Rob and Justin are podcasting live from the 2018 Builders’ Show in Orlando, Fla. 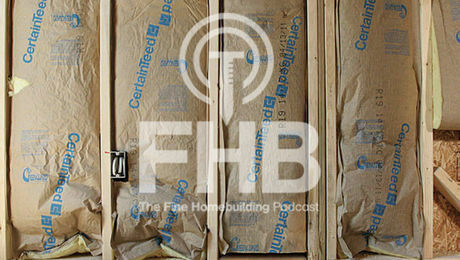 This Wednesday morning show features sponsor Andrew Acker, director of education at Schluter Systems, as well as FHB ambassador Jason Mollak of JPM Construction. 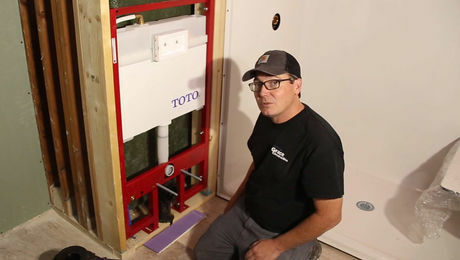 Justin and Andy talk about competition in the shower-tile-system market. 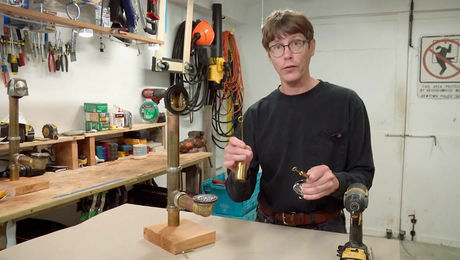 They discuss material costs vs. labor and time, business models, education, and the #KeepCraftAlive effort to encourage young people to work in the trades. 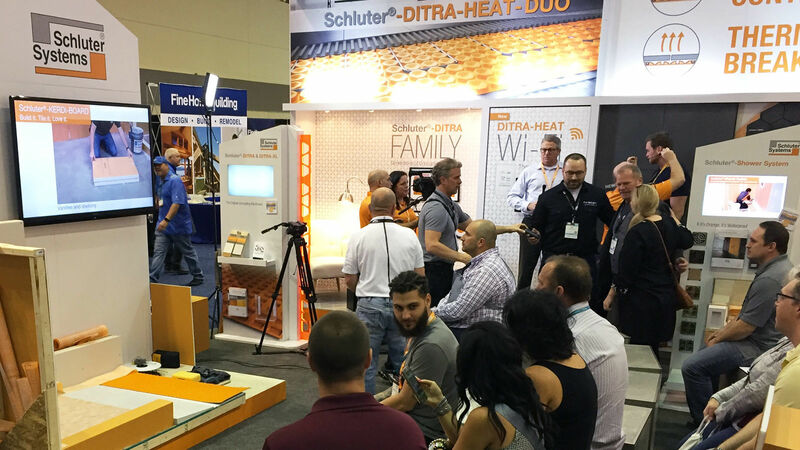 Ongoing education at the Schluter booth at the 2018 International Builders’ Show in Orlando, Fla.
Jason has written for Fine Homebuilding — and was featured on the cover of Issue No. 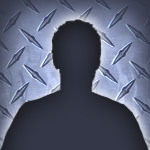 264. He’s at IBS for his first time, and he talked about interior and exterior trim and structural work, plastic vs. wood, and PVC. The conversation also touched on the Keep Craft Alive movement. Speaking of which, please also click on this article on the KCA fundraising event at the show this year, and don’t forget to buy #KCA tee-shirts to support scholarships for new builders and artisans. 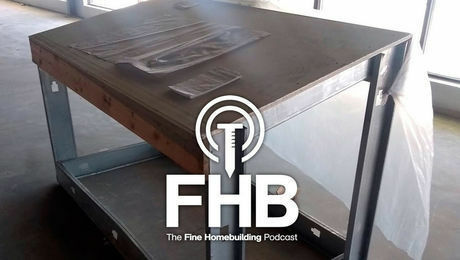 That relates to the FHB’s Why I Build video series, so check that out, too. 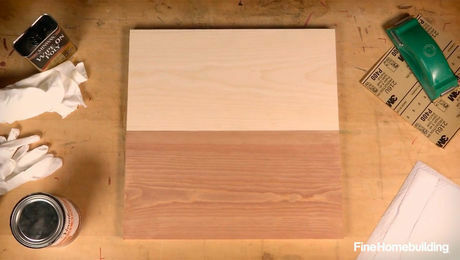 A new Why I Build video goes up today. 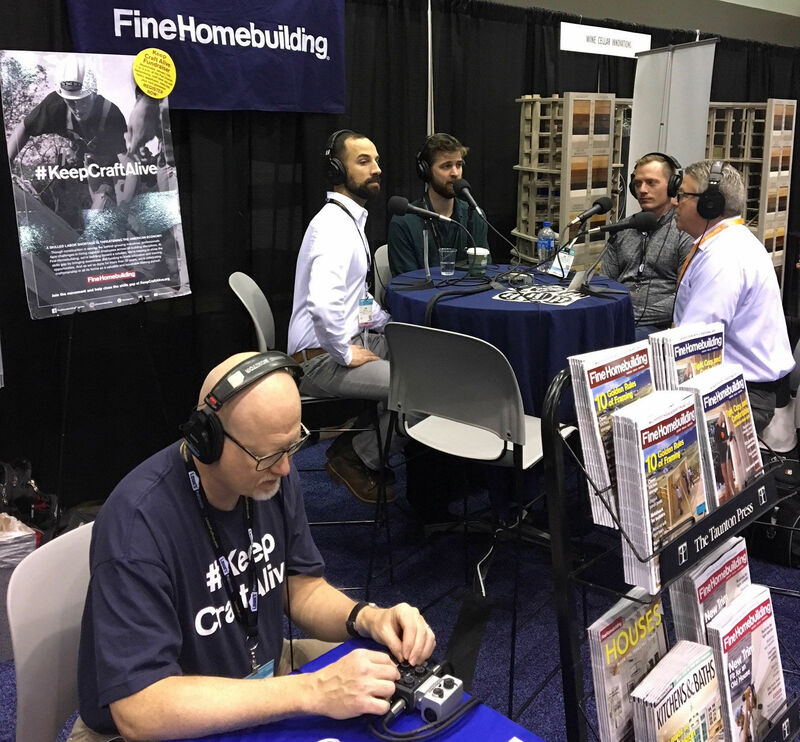 Here’s a photo of the guys recording a podcast live at the 2018 Builders’ Show. Of special note: That’s FHB AV Wizard Jeff Roos working the gear in the foreground. He’s the (only) one wearing a #KeepCraftAlive shirt! 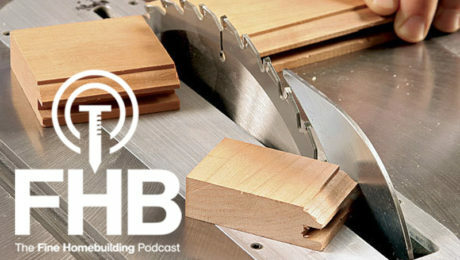 Jason’s articles at Fine Homebuilding.